Groundbreaking power and refinement come forward with the 2018 Ford Focus RS as you dive into the realm of adrenaline-inducing performance. Featuring 5-doors and seating for up to 5, this Limited-Edition trim level challenges the status quo as it delivers modern capability for elevated everyday driving. With the 2018 Ford Focus RS, you are invited into an oasis of refined aesthetics. 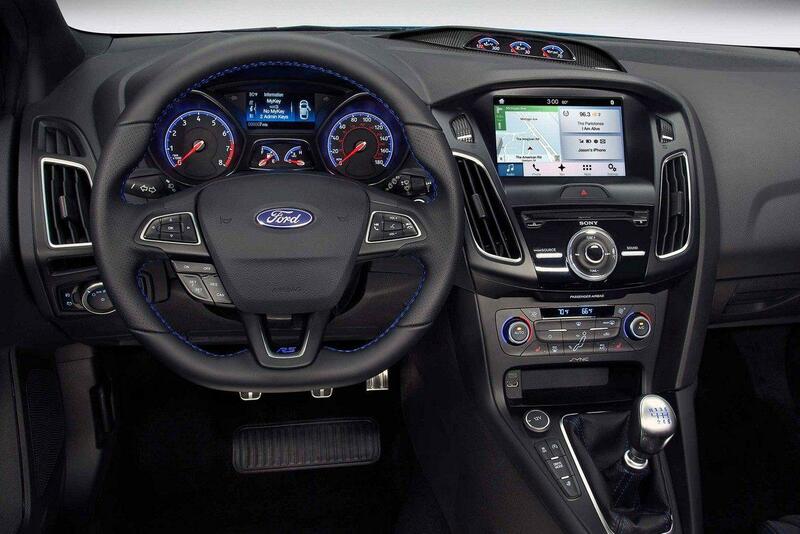 Performance focused, this interior accentuates the performance gauges as it provides luxurious ambient lighting. Grip the unique RS leather-wrapped and heated flat-bottom steering wheel as you sit back on the heated leather RECARO sports seats with Miko-Dinamica inserts and RS logo. Furthering the sportiness of the design is the RS-unique leather-wrapped and alloy gear shift knob. Keep your passengers satisfied as you embrace the functionality of the dual-zone electronic automatic temperature control, offering you the ability to maintain two different front temperatures at the same time. Versatility is promoted with the 60/40 split folding rear bench seat, allowing you to bring along a variety of passenger and cargo combinations. A striking exterior design is presented with the 2018 Ford Focus RS as you enjoy modern details such as the power moonroof, unique limited-edition RS functional black rear spoiler, and unique limited-edition RS front grille. Aerodynamics are enhanced through the Active Grille Shutters as you enjoy zero lift overall for optimal high-speed handling. Drivability is increased through the 19-inch premium painted forged aluminium wheels with blue RS centre cap and Michelin Super Sport Summer Tires. 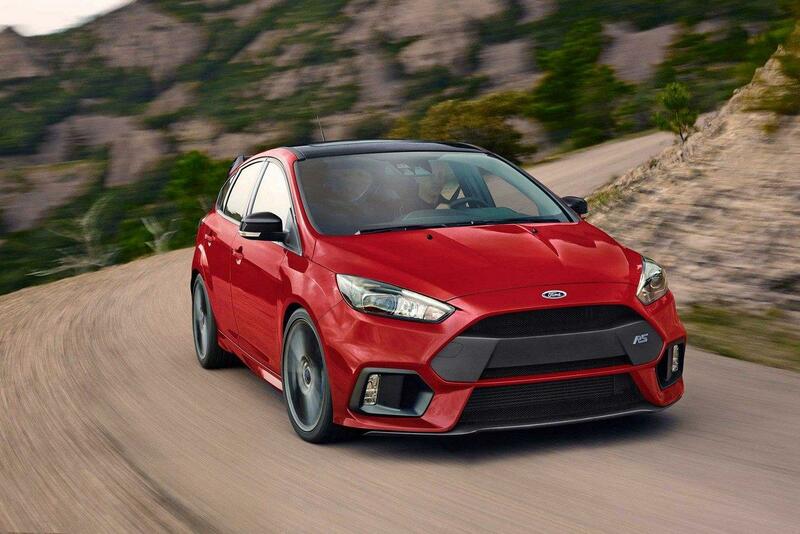 Advanced technology features are presented with the 2018 Ford Focus RS as you drive with seamless connection to the outside world. Encounter refined entertainment options through SYNC 3, featuring an enhanced Voice Recognition Communications and Entertainment system as well as an 8-inch LCD Capacitive Touchscreen with swipe capability. Communication is provided through the available Apple CarPLay and Android Auto systems, allowing you to make phone calls, send messages and more without the use of your hands. Find your way with ease as the voice-activated touchscreen navigation system provides you with turn-by-turn directions to an array of destinations. Customize your 2018 Ford Focus RS to meet your specific needs and preferences through a selection of Genuine Ford Parts and Accessories. For added protection, select from an array of door sill plates or side window deflectors or increase style through a hood deflector. Bring along a variety of cargo items with the addition of a rack or carrier by Thule as you keep your interior open for passengers. Dynamic performance is brought forward with the 2018 Ford Focus RS as you take on the road with the 2018 Focus RS Quaife limited-slip differential with enables you to fully engage with the best-in-class 350 horsepower with more traction and control. Featuring a unique 6-speed manual transmission as well as Ford Performance All-Wheel Drive with Dynamic Torque Vectoring Control, this vehicle enhances drivability with responsive power. 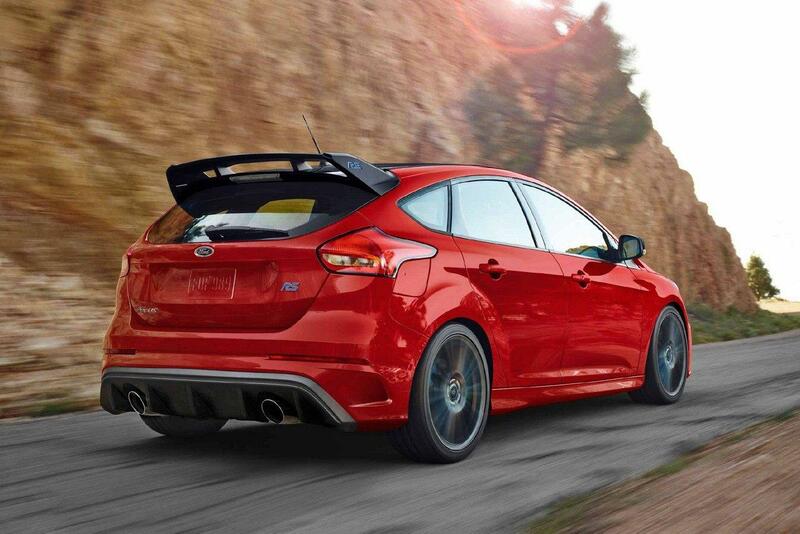 Having received the following recognition, the highly-awarded 2018 Ford Focus RS brings your experience to the next level. Find your freedom in the striking and remarkable 2018 Ford Focus RS. Through an interior and exterior design that is rich in both promise and potential, this vehicle elevates each moment on the road with adaptive performance. Explore the 2018 Ford Focus RS at your local Vernon Ford Dealer - Watkin Motors Ford. Through a team of highly-trained technicians and a vast selection to choose from, Watkin Motors Ford is here to help you get the most out of your vehicle.